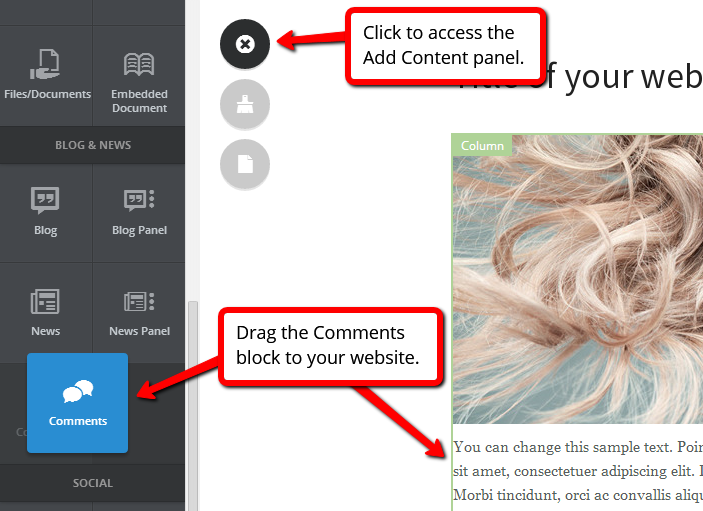 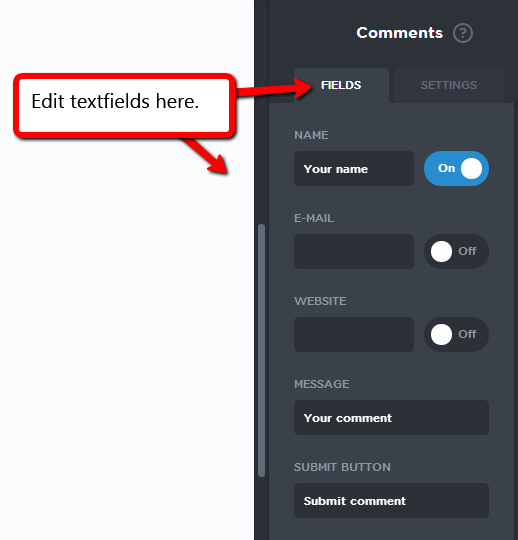 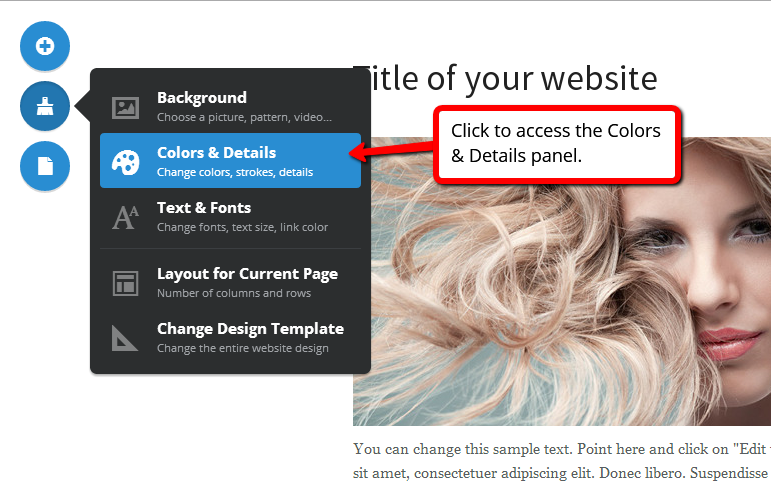 A comments section can be placed below a text field, next to an image slide or anywhere you see fit. 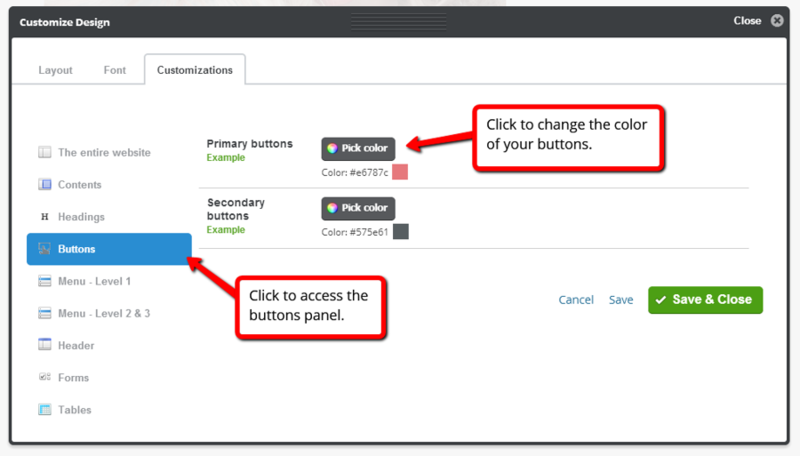 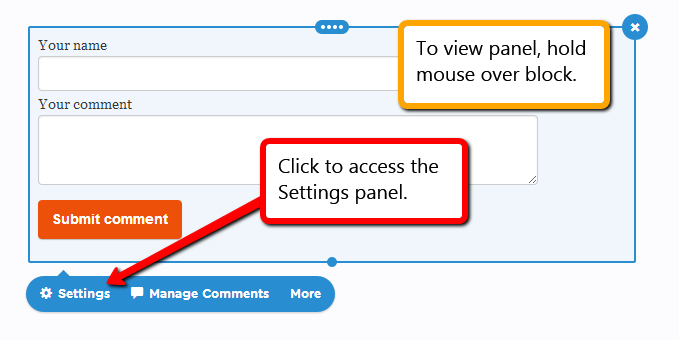 Click "Settings" to view side panel. 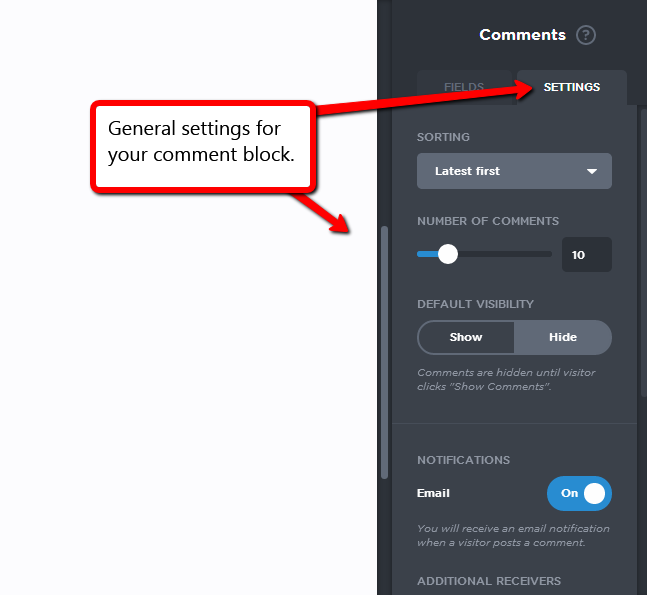 Under tab "settings" select sorting of comments and visibility.